The Chaos Warriors Race Pack brought a new race with its own new Legendary Lords, units, mounts, items, quest chains and mechanics to Total War™: WARHAMMER®. 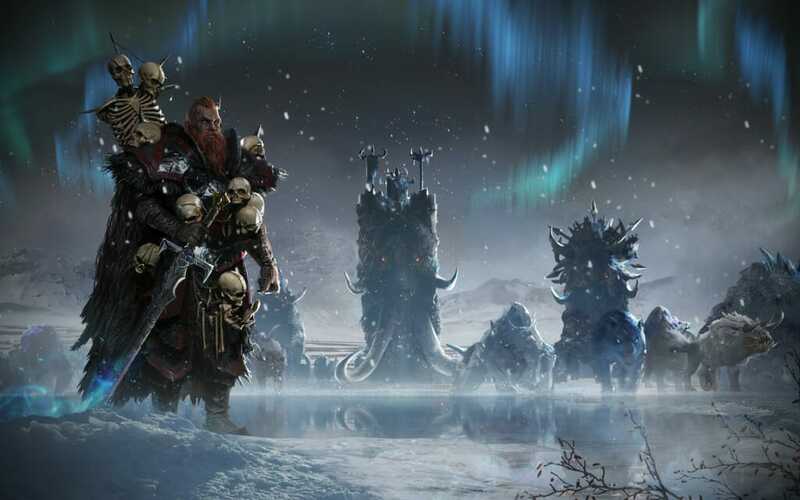 Players choosing the Chaos Warriors will be able to select from the following Legendary Lords with which to lead their Grand Campaign. 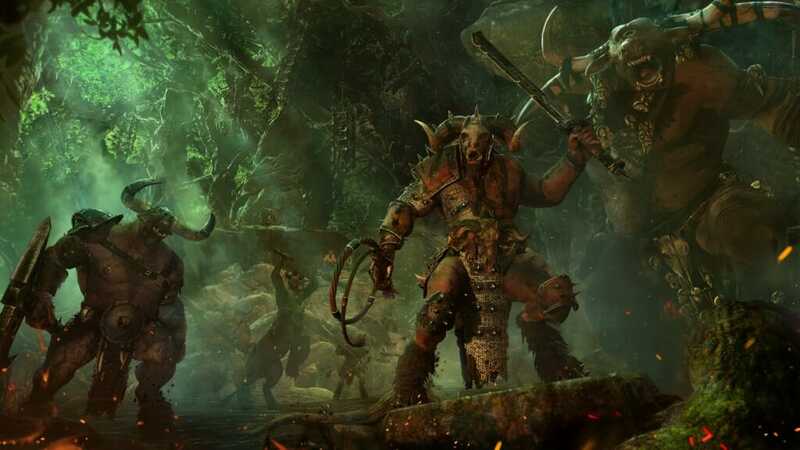 – New Horde playstyle! 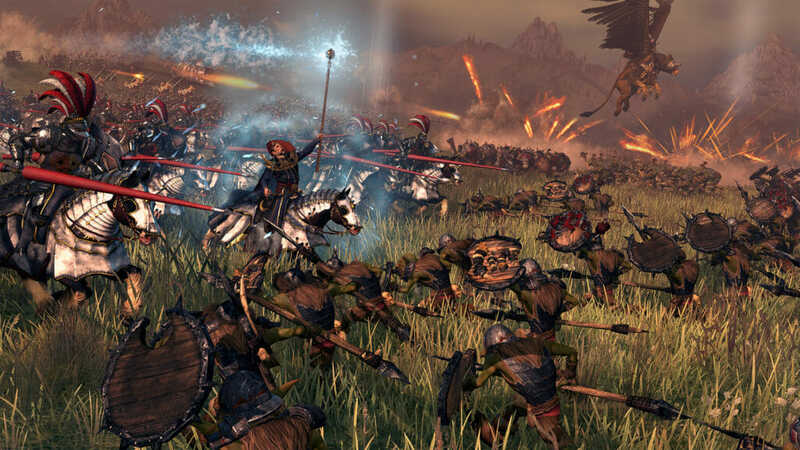 Introduces Horde-style gameplay to Total War: WARHAMMER, allowing the Chaos Warriors to raze enemy settlements and set up encampments anywhere, taking their war spoils with them. The armies of Chaos rest only when exhaustion halts their marching, leaving nothing but corruption and ash in their wake. – New units, buildings, items and technologies: Unlock new units, buildings and technologies. Seek out the powerful Artefacts of Chaos and become the true Herald of the Apocalypse. – Spread corruption in the name of Chaos! The foul energies that drive the Chaos Warriors leave ripples that permeate any place they pass through, influencing the populace. Use this to spread dissent amongst the enemies of Chaos, creating cultist uprisings through the proliferation of dark worship. o Faction-wide trait: ‘Everchosen’ – With Archaon heading your invasion, not only will you be able to move farther on the campaign map, you find it much easier to recruit Chaos Warriors and Chosen. o Faction-wide trait: ‘Scion of Slaneesh’ – Sigvald’s inflated sense of self-worth emanates to those around him, increasing the Chaos Corruption he causes and giving him leadership bonuses versus human enemies. o Faction-wide trait: ‘Herald of the Tempest’ – Kholek is a mighty force to behold, even to other Dragon Ogres of his kind. As such both Dragon Ogres and Dragon Ogre Shaggoths have reduced upkeep when playing as Kholek. 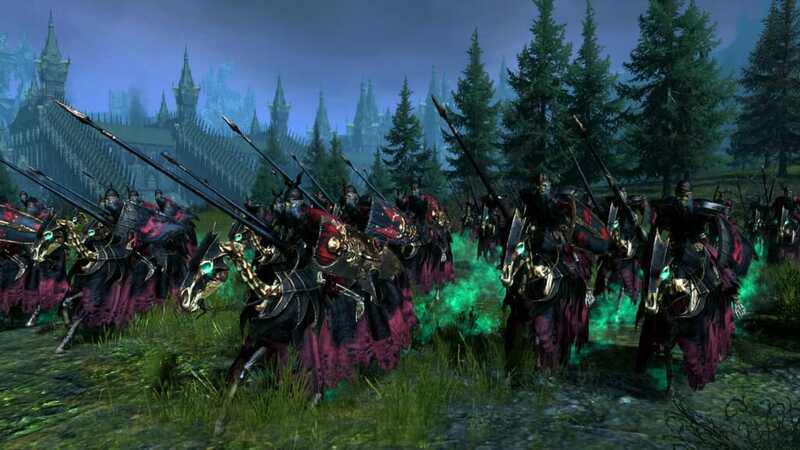 *These units are exclusive to the Chaos Warriors Race Pack and will not appear in the base game if you do not have the DLC..